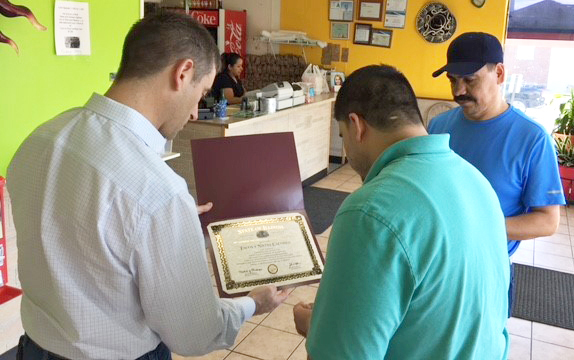 Each Month Rep. Marron will visit with a local business in his district and highlight their achievements! 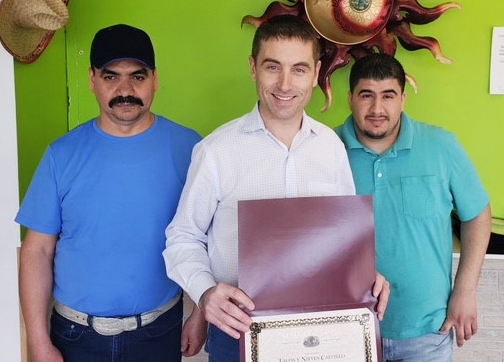 Rep. Marron stopped by and met with owners Alex Fernando Rodriguez Lopez, Luis Fernando Serna, and Osbaldo Herrera to congratulate the trio on their 4th anniversary serving authentic Mexican food to Danville Residents. Alex and Luis bring their cooking flare from the Calvillo Aquascalientes region and Osbaldo has his roots in the Zacateas region of Mexico! The three partners make excellent authentic food using the freshest ingredients bringing their heritage for us all to enjoy here in Danville! Thank you for everything you do here in our community, and I look forward to seeing many more fruitful years ahead! 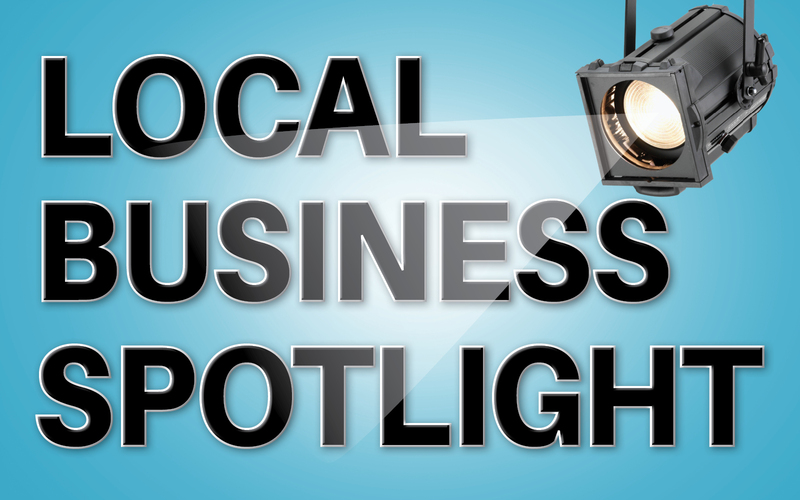 Rep. Marron initiated the local business spotlight to showcase the wonderful diversity of talent all across the 104th District! He is encouraging constituents and business owners to reach out to him via his Facebook page or in person to submit a request for him to visit a particular local business!